Looking for a small SUV with that’s loaded with features? The 2019 GMC Terrain for sale in North Palm Beach is your best bet. This crossover’s bold, refined chassis makes a statement in the streets while you and your passengers relax across two rows of comfortable seating. Find out what else the dynamic GMC Terrain has to offer. The 2019 GMC Terrain offers a spacious cabin with comfortable soft-touch seating for five passengers. Friends and family can relax as they enjoy the breeze or view the sky above through the available SkyScape sunroof. Pile everyone in for a trip across Florida or easily reconfigure the seats in this compact SUV to fit all of your travel necessities. Fold down the front passenger and second-row seats to free up enough cabin space to fit objects up to 8’ long. Up to 63.3 cu. ft. of cargo space awaits behind the front seats. Turbocharged power comes standard on the new Terrain. This crossover offers the choice of three engines, including a 2.0L engine that delivers 252-horsepower and 260 lb.-ft. of torque. When equipped with the capable 9-speed transmission system, you can tow a family camper weighing up to 3,500 lbs. With the standard Traction Select System, you can make adjustments depending on where the adventure takes you. Front-wheel drive (FWD) mode offers enhanced fuel economy for everyday driving. All-wheel drive (AWD), off-road, and available tow/haul modes help your vehicle maintain optimal traction on different surfaces. Keep connected throughout your adventure when you sync your compatible smartphone with Apple CarPlay™ or Android Auto™. Use hands-free, voice-recognition technology to make commands. Play your favorite music, send text messages, and more with the sound of your voice or by tapping on the GMC infotainment system’s digital touch-screen display. Searching for the 2019 GMC Terrain? 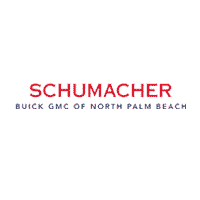 Stop by Schumacher Buick GMC of North Palm Beach to take the Terrain for a test drive. Browse our selection of new GMC vehicles for sale, and call our sales desk at 561-282-1957 for more information.